Langston, Okla. – The Sooner Athletic Conference honored its football student-athletes with academic all-conference, SAC scholar-athlete awards and the Champions of Character team. The SAC sponsored football as one of its 14 sports for the first time in the league's 40-year history in 2018. 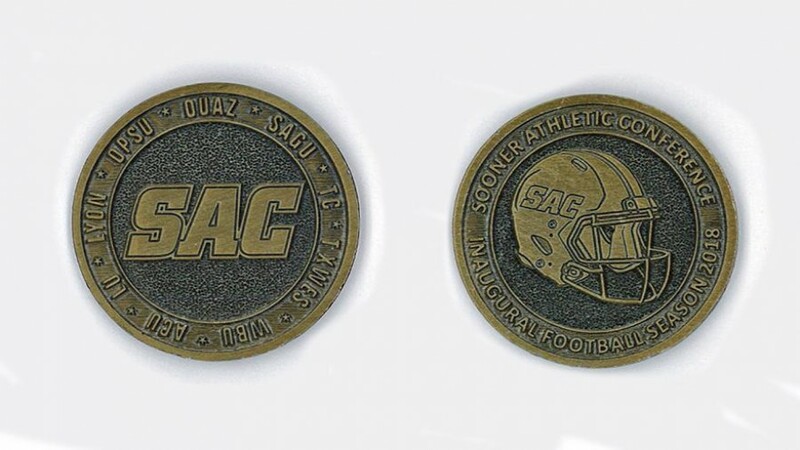 SAC member schools have taken an NAIA-best 107 national championships. The academic all-SAC team included those student-athletes who have maintained a 3.0 cumulative grade-point average and completed 12 hours at their institution. Panhandle State boasted eight names on the roster including Nate Leithead, Sam Lemin, Braden Price, Brandon Ramon, Jasper Smiley, Sequoia Smith, Sergio Sosa and Jarrod Thomas. The SAC scholar-athlete honor went to those student-athletes who are juniors or above in academic standing with a cumulative GPA of at least 3.5. The SAC is introducing this award in 2018-19 for all its sports. The Aggies listed three players as scholar-athletes: Sam Lemin, Sequoia Smith and Jarrod Thomas. The SAC Champions of Character team is comprised of the student-athletes who have best exemplified the five core values of the NAIA – respect, integrity, responsibility, servant leadership and sportsmanship. Each SAC team named two student-athletes to the team with Panhandle State showcasing Jawan Purifoy and Sequoia Smith. Head Coach Russell Gaskamp commented, "I am incredibly proud of all the guys that were recognized by the Sooner Athletic Conference for excelling in the classroom. The demands of a student-athlete are extremely high; these guys are excellent ambassadors for our school and great representatives of our athletic department." Gaskamp continued, "I believe it is also important to point out how great it is to work with the faculty at our school. They are very supportive and understanding of the athletic schedule and understand the time and commitment that are football players put into the student-athlete experience. They are truly excellent to work with." The complete lists of all SAC honorees can be found online at soonerathletic.org.